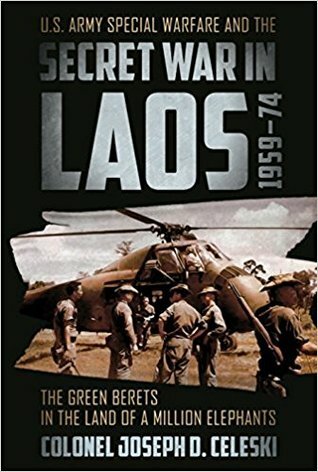 Between 1959 and 1974, Green Berets were covertly deployed to Laos to prevent a communist take-over or at least preserve the kingdom's neutrality. Operators dressed in civilian clothes, armed with cover stories and answering only to "Mister", were delivered to the country by Air America, where they answered to the U.S. Ambassador. There they were faced with the complexities of the three factions in Laos, as well as operating with limited resources – maps of the country often had large blank areas and essential supplies often didn't arrive at all. In challenging tropical conditions they trained and undertook combat advisory duties with native and tribal forces. Veterans remember Hmong guerrillas and Lao soldiers who were often shorter than the M1 rifles they carried. The Green Berets' service in Laos was the first strategic challenge since its formation in 1952, and proved one of the first major applications of special warfare doctrine. Clouded in secrecy until the 1990s, this story is comprehensively told for the first time using official archival documents and interviews with veterans.